"Garret was wonderful and everyone was on the dance floor all night long! We had a blast and our day couldn't have been more perfect! Thanks, Garret!" "We chose our DJ, Garret Doe, shortly after we got engagd in 2012. The nice thing about Get Down Tonight is that you can watch short videos of each DJ to see and hear his or her style. We chose Garret based on his style and personality as well as his pricing. He kept saying to us that he could "read the crowd" and base the music choices off of that. Me being me was skeptical and figured something was going to be off. I couldn't have been more wrong! We are still getting compliments on how fun our wedding was and how great he, as a DJ was from guests you and old. The best part about his style was that he blended songs together so nicely that there was never a missed beat or any awkward pauses in the party. He was professional, attentive and talented. I highly recommend him!" 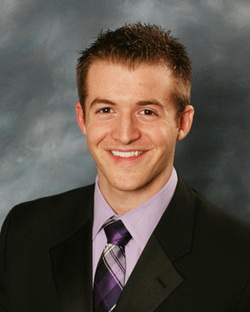 "Garret, Thanks for providing excellent music and hosting for our wedding. We all had a blast, and the beatles block was GENIUS -- easily one of my favorite parts of the evening!! Thanks again!" "We recently got married and when we were looking at venues in Southern New Hampshire, Get Down Tonight Entertainment came highly recommended by all of them. We were able to watch DJ promo videos and and were given a price sheet. We ended up picking Garret Doe for our wedding. Garret went above and beyond our expectations and truly was one of the best DJs I have ever seen or heard. He was able to read the crowd perfectly, had any song we could request and I got many compliments on his professionalism, music selection, and ability to adapt to the crowd. My wife and I had a blast and I know everyone else did as well (including Garret). You could really tell that Garret loved what he did and took pride in his abilities and the final product. During our meeting a few weeks before he recomended we get some uplighting and looking back at the photos, I see what he is talking about. It adds a little extra and really classes up the photos. I would not hesitate to contact Get Down Tonight to book Garret for another event." "Thanks again for a wonderful time! So many compliments about your music selection -- a perfect blend to please all. Thanks again!" "Out of all the recent weddings I’ve been involved with either as a photographer or family member, Garret Doe’s work stands out from the rest. He played a great mix of material, in addition to the requests of the wedding party. Volume-wise, it was possible to carry on conversations without having to scream at the other person (much appreciated). I’ll be sure to recommend Garret and Get Down Tonight for any future weddings I’m involved with."